Where to Buy Velocity SG Herbicide, Velocity SG Herbicide for POA Control - 1 Lb - $619.95 for Sale with Fast Free Shipping! 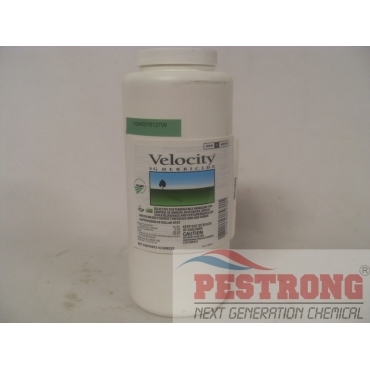 Velocity SG Herbicide for POA Control - 1 Lb is the best way to convert Poa-infested turf back to bentgrass. By buying this product & leave product review you can collect normally 61 reward points as a voucher of $6.10(1%). Cleary 3336 DG Lite Granular Fungicide - 30.. This is a postemergence herbicide that will selectively control annual bluegrass (Poa annua), roughstalk bluegrass (Poa trivialis) and numerous broadleaf weeds that are growing within certain species of established turfgrass of golf course, sod farm. It will also suppress seedhead production by annual bluegrass and Plus, dollar spot and selectively controls other broadleaf weeds. Not for use on residential. If you want to use on residential, use Revolver Herbicide. Definitely the best herbicide to control POA, I never had such a success with anything else, you have to try if you have POA in your lawn!